True to its name, the Welsh terrier traces its origins to Wales and is one of the little known breeds in the UK. The Welshie, as it is also called, is sturdy, intelligent, charming, fun, affectionate, and friendly with humans and other canines. It is good with children of any age and is easy to train. It is also not prone to separation anxiety, but has a stubborn streak. Whilst its coat does not shed much, it requires much grooming. Being a high-energy dog, it needs much physical and mental engagement to keep it occupied and balanced. A good watchdog, the Welsh terrier is better suited being the only dog in the family. The Welsh terrier, hailing from Wales in the UK, has a similar ancestor as the Lakeland terrier. Naturally, both breeds also share a number of traits. There may be stories on how the Welshie came to be. The exact origins of this dog breed is largely still a mystery. One of those is the speculation that it may be a direct link to the Old English black and tan. Another is that it may have been brought by the Celts fleeing Roman invaders. In the 1800s, this canine was known as the Caernarvonshire Welsh terrier, which took on the role of vermin hunter. This workmanlike terrier was bred for this role and excelled in it. Despite this, it only received recognition as a distinct dog breed in the UK in 1885. Although the Welsh terrier is not as combative as other terrier breeds, its numbers dwindled in the UK. To this day, the Welshie is still on vulnerable status as very few have been registered at The Kennel Club. It has been reported that only about 300 Welsh terrier puppies are registered with the TKC yearly. A medium-sized pooch, the Welsh terrier dog’s height is approximately 39 cm for both male and female. It weighs anywhere between 9–0.5 kg. The Welshie’s rectangular body is sturdy and compact. It has a rather flat-at-the-top, brick-like head and face, topped with ears that flop forward and towards its cheeks. Its eyes are small, dark, and alert. Its stop is subtle and punctuated by a black nose. It has a powerful jaw with a clean scissor bite, which allows it to capture its vermin target effectively. The Welshie chest is wide, and its back is muscular yet short. However, its loins and back legs are strong, which are also coupled with muscular thighs. The tail is typically carried upright in a jaunty way, thus enhancing its happy look. The feet are small and round, making them look feline-like. The two-layered coat of the Welsh terrier is wiry and hard, lying closely to its body. The colours accepted by the TKC are black and tan. As puppies, Welshies are born with a black coat until it turns a year old. After that first year, the coat colour starts turning into the standard black and tan. Although this canine sheds minimally, its coat still needs regular maintenance and brushing. Very affectionate, loyal, lively, outgoing, and clever, the Welsh terrier forms solid bonds with its humans. As such, it loves family life and to get involved in the activities of its household. Although it may have the usual terrier temperament, the Welshie is not known to be aggressive even with strangers. It is more laid-back than the other types. It prefers to keep its distance until it finally gets to know them. However, in true terrier fashion, it will not back down when threatened. This spirited dog breed is intelligent, has a high prey drive, and is prompt with its bark. Although it may have a stubborn streak, it is eager to please its human. As such, it makes a good watchdog. However, it should be kept on a lead when going on walks. As is the nature of terriers, the Welshie also likes to dig and explore. As such, homes with yards must be securely fenced. This is to prevent this canine from escaping. A good family pet, this earth dog should be trained and socialised at an early age. This is to ensure that it develops into a well-balanced pooch. First-time dog owners may also find the Welshie a suitable companion provided that the owner can provide for this animal’s needs. Also, it is best kept as the only dog in the family as it is not as tolerant with other canines in the home. The Welsh terrier should be fed a diet that fulfils its nutritional requirements. A regular feeding schedule must be followed, preferably twice a day. The same food should be consistently served to avoid gastrointestinal issues. Should there be changes in the diet, it should be done gradually. Welshie puppies should be fed 3–4 times daily. It should be fed 113 g–174 g of food from ages 2–6 months, depending on its size and activity level. At 8 months old, it may be fed 117 g–137 g of food. From 8–10 months, it is best to feed it 117 g–137 g daily. Once it reaches 13 months, it may be offered adult food. For adult Welsh terriers, feed about 125 g–144 g for those weighing 9 kg. Those tipping the scales at 9.5 kg can be given 130 g–150 g of food. 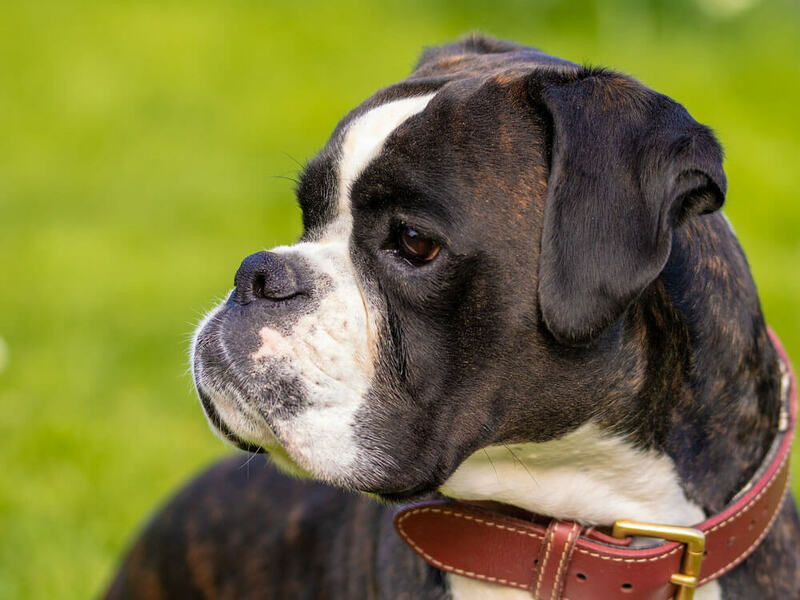 As this breed’s coat is rather coarser and thicker than that of others, flea treatment options should be discussed with the vet. The Welsh terrier is an active and intelligent breed, thus requiring quality mental and physical exertion daily. It should be exercised for 60–80 minutes, although this period can be distributed at various times during the day. A pedigreed Welsh terrier puppy may cost at least £800. When acquiring one, registering interest with a breeder is required as this dog is not commonplace. You are likely to be put on a wait list. Insurance expenses can cost £20 (basic) to £43 (lifetime) monthly. Good quality food costs can range from £20–£30 every month. Veterinary expenses, including vaccinations, health checks, and spaying/neutering may reach £800 annually. Overall, the average expense in caring for a Welshie is about £50–£80 each month. This is dependent on the insurance coverage. Overall lifetime cost estimates can range from £7,200 to £12,480 (12–13 years). Is a Welsh Terrier Right for You? This earth dog is more laid-back than other terrier breeds. The Welshie loves people, is affectionate, and outgoing, albeit quick to bark. It is a good pet for families and first-time owners, provided enough time for training and early socialisation. Although non-aggressive, it is likely not to back down when threatened. This canine is a healthy breed with few hereditary health issues. Intelligent and independent, the Welsh terrier can learn new skills quickly. It is not prone to separation anxiety, but is likely to indulge in digging when not sufficiently exercised. This pooch is a high-energy canine that requires much daily physical exertion and mental stimulation. Whilst not much of a shedder, its coat is high maintenance in terms of grooming. The Welshie does best when it is the only dog in a household.